1. Hey man, I like your shoes Tommy Cole of Tellus Outdoors, left, and Jason New, The Grow Group, were wearing the same shoes on the second day of Grow! 2019. They are hopeful that they’ll spark a new fashion trend for landscape professionals. 2. Soaking up some rays Despite a chill in the air in the Mile High City, attendees of Grow! 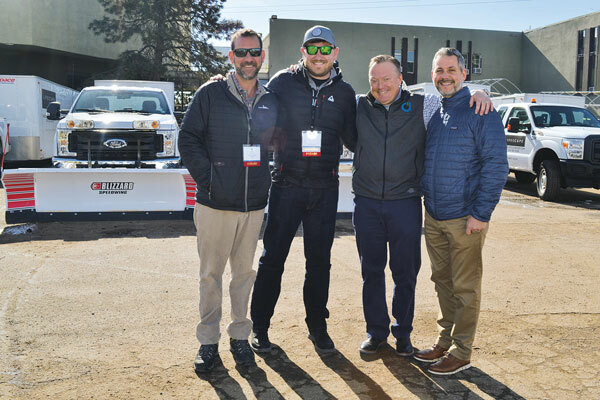 2019 took to the outdoors to check out Lifescape Colorado’s trailers and for a photo-op. From left: Frank Mariani Jr., Mariani Landscape, Lake Bluff, Ill.; Brett Newendorp, Vermeer; Marty Grunder, The Grow Group and Grunder Landscaping Co.; Bill Roddy, publisher of Landscape Management. 3. 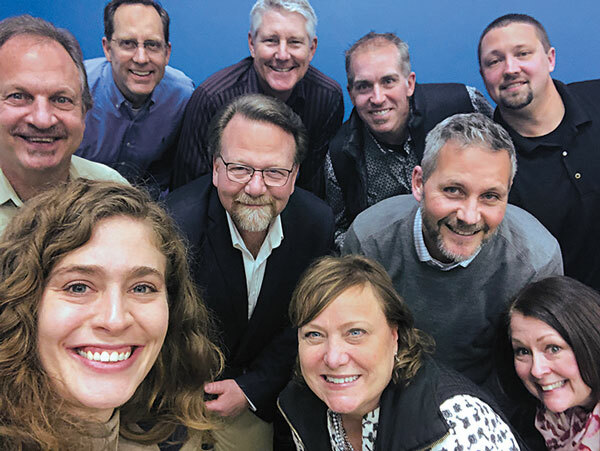 Landscape Management goes to Washington We traveled to Washington, D.C., for the first National Association of Landscape Professionals (NALP) Workforce Summit and talked about creative solutions for finding labor with some longtime industry pros. 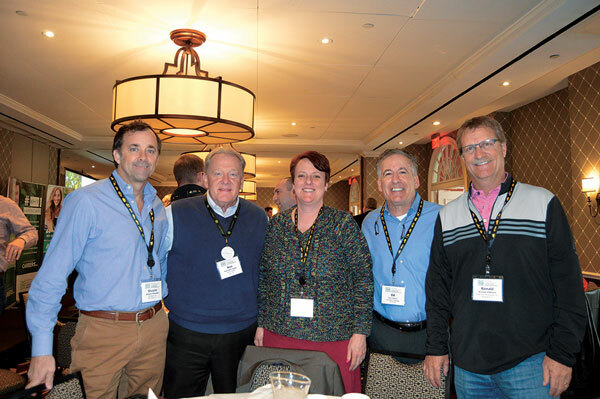 From left: Shayne Newman, YardApes, New Milford, Conn.; Ken Taylor, John Deere; Merry Beth Hall, Interlocking Concrete Pavement Institute; Ed Castro, Ed Castro Landscape, Roswell, Ga.; Ronald Sikkema, West Bay Landscape, Bradenton, Fla.
4. 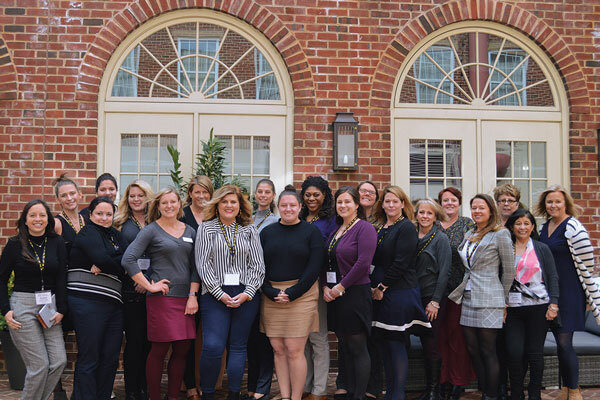 Ladies take the Hill At the NALP Workforce Summit, one of the main topics of conversation was diversity in the workplace. The female landscape industry members present gathered for a photo at the end of the event. 5. 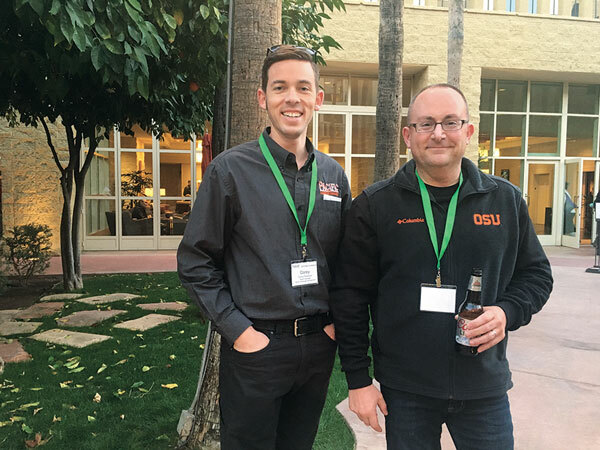 Pacific in the Southwest Two members of the crew from Oregon-based Pacific Landscape Management enjoy some time under the palm trees at the Aspire User Conference in Phoenix. 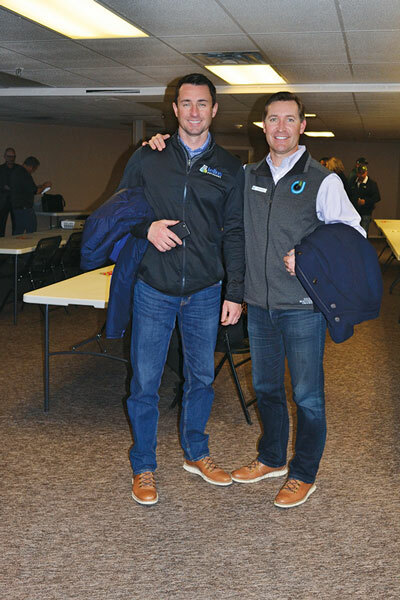 Pictured are, from left, Corey Peterson, branch manager, Hillsboro; Adam Flint, branch manager, Parkrose. 6. 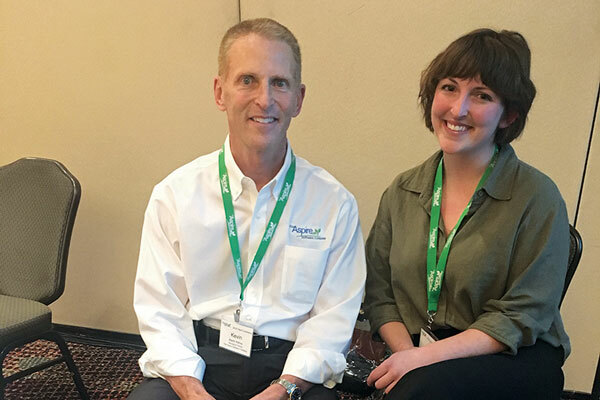 Like father, like daughter Kevin Kehoe, founder and managing partner of Aspire Software and columnist for LM, and his daughter, Julia, who joined Aspire as business development representative. 7. The gang’s all here Roddy, right center, poses with fellow members of Responsible Industry for a Sound Environment’s (RISE) communications committee, at the group’s meeting held in Atlanta.